Few general engineering contractors in the greater San Diego area can offer clients the diversity of construction experience and expertise as Hazard Construction Company (Hazard) possess in-house. For well over eight decades Hazard has been building a name throughout San Diego and beyond, building thousands of miles of interstate freeways, bridges and roadways throughout southern California. 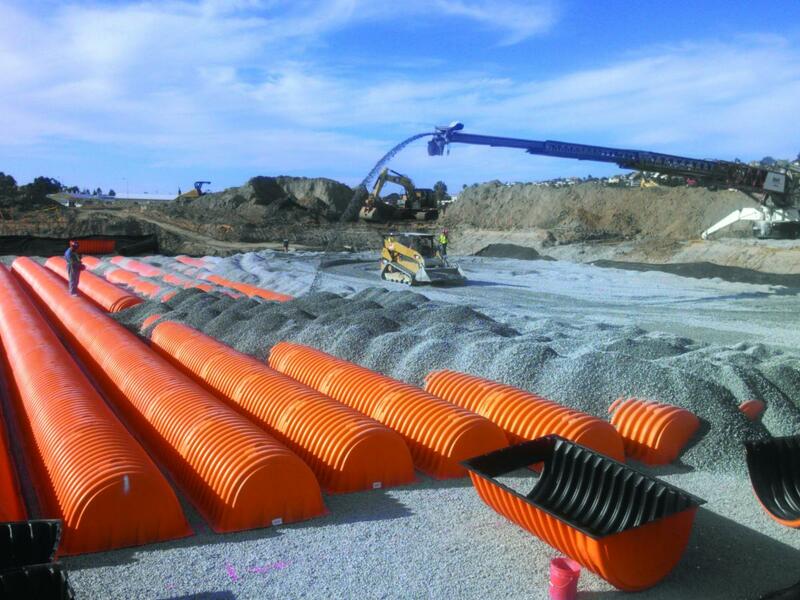 The company’s project management staff, crews and equipment can handle a range of heavy civil construction from small parking lot paving to subdivisions and complete thoroughfare interchange construction. Serving the needs of private clients, Hazard has delved into everything from site construction to development of commercial, residential and industrial projects. Although the company’s diversity has allowed it to shift between markets over the years, Hazard has always been a part of San Diego’s history. “The company was founded in 1926 by Roscoe Elwood “Pappy” Hazard Sr., as the R.E. Hazard Contracting Company,” tells Mordhorst. An entrepreneur at heart, Pappy bought a fleet of trucks and wagons with nearly every available horse and mule in the region. He began a hauling, excavation and site construction business which helped shape early San Diego. Hazard’s first office was headquartered in downtown San Diego and the company performed road construction and excavation throughout the area, including the grading and paving of much of Rancho Santa Fe. Pappy’s eldest son, Bruce R. Hazard, entered his father’s business in 1935 at the age of 17. He quickly learned the ropes of the business by working in the field and observing his father’s techniques. “For many years the company remained a family-owned operation as Pappy passed Hazard down to his son,” tells Mordhorst. During the peak of the Great Depression, Hazard expanded into concrete block manufacturing, moving to a 42-acre site off Highway 163 in Mission Valley, known as “The Brickyard.” At the height, the manufacturing plant was producing as many as 400 different varieties of block and brick. In the 1950s, Hazard teamed up with W.F. Maxwell Inc., a bridge and concrete structure specialist. Together, the two companies landed multimillion-dollar contracts for major portions of Interstate 5, 15, 805 and more. In the early 1960s, Bruce assumed full ownership and expanded Hazard’s involvement in major freeway, road, commercial and subdivision construction. In 1985, W.F. Maxwell was purchased by Hazard to further expand the firm’s in-house bridge building expertise. Over the course of 88 years, Hazard has evolved into a full-service general engineering contracting firm and has shaped a great deal of the infrastructure that makes up modern day San Diego and the Imperial Valley. “Travelers can safely park their cars on the U.S. side, go through customs on the U.S. side and then cross over into Tijuana, Mexico, to board,” explains Mordhorst. But before construction could take place the site needed a presidential permit from both governments. “We’ve been doing the construction management on this job for quite some time,” adds Mordhorst. Back on U.S. soil, Hazard has four projects on the books with Cal Trans, California’s state Department of Transportation. “Cal Trans is easily one of our top customers and we’re getting started on a range of paving, widening and interchange work,” shares Mordhorst. But after 88 years running, including the Great Depression and more recent recession, there isn’t much Hazard hasn’t pulled through. Relying on a diverse set of engineering and contracting expertise, Hazard Construction Company has positioned itself as greater San Diego’s choice heavy civil contractor.